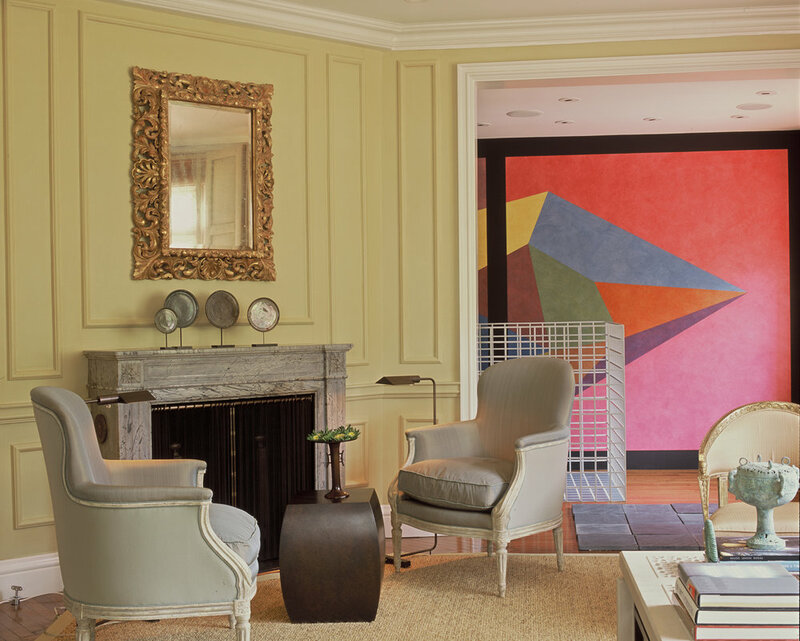 In this home, the client's avant garde modern art collection demanded a freshness and strength in the 1920's architectural surroundings. 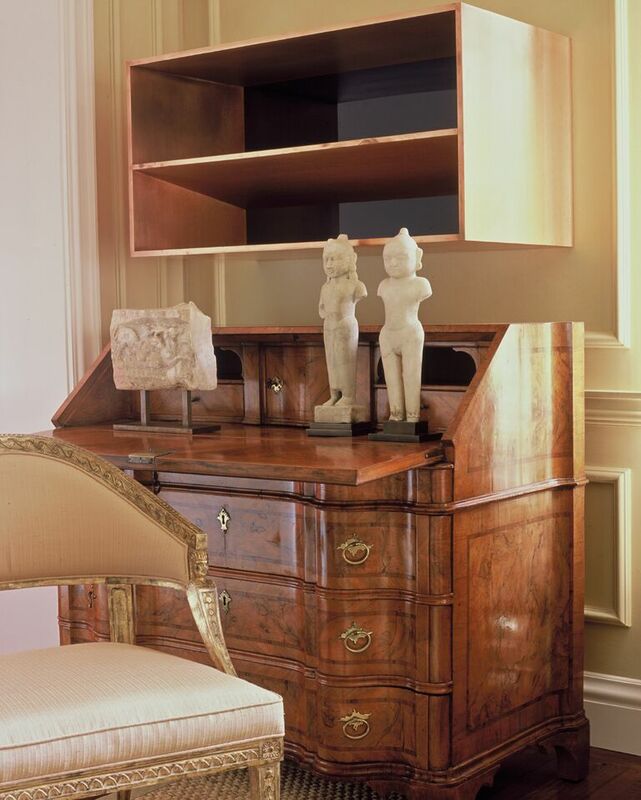 So, furnishings, fixtures, and finishes were updated, keeping the elegance the client desired with an originality that could coexist with the art. The Wiseman Group designed custom wall finishes, lighting and door hardware, upholstered pieces, and embroidery details.